10,753 Ukrainian soldiers were wounded. Since the beginning of the antiterrorist operation (ATO) in Donbas, 3,064 Ukrainian officers have been killed and 10,753 wounded, the chief of the General Staff of the Armed Forces, Gen. Viktor Muzhenko said in an interview with the Voice of Ukraine published on Tuesday, 6 December. 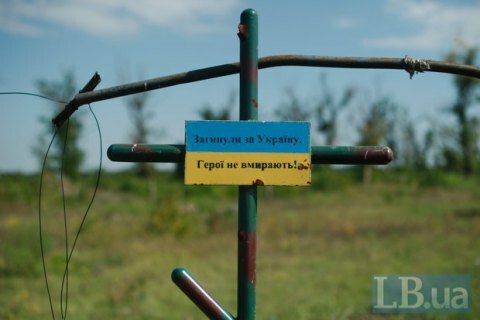 "Since the start of the ATO, 3,064 law enforcers have been killed, of which 2,636 were members of the Armed Forces of Ukraine. Of this number, 2,148 people were killed in combat. Some 10,753 have been wounded, including 8,897 servicemen of the Armed Forces of Ukraine," Muzhenko said in the interview recorded in late November. The General Staff quoted earlier estimates as saying Ukraine may lose 10,000 to 12,000 people within 10 days in the case of a full-scale military aggression by Russia.